American actor Don Cheadle, known in Rwanda for staring in Hotel Rwanda film depicting embattled hotelier Paul Rusesabagina, is set to produce and star in a movie about Jeremiah G. Hamilton, the first black millionaire. It was the year 2017, Hollywood had started to concede its rigid views on diverse movies, as films like Hidden Figures and Get Out dominated the box office. Then, from a not-so-far-away land, our hero known as Don Cheadle (Miles Ahead, The Avengers series) had a brilliant idea: to adapt the story of Wall Street’s first black millionaire for the big screen. And so, alongside his trusty writer Steven Baigelman, the duo are adapting author Shane White‘s Prince of Darkness into a movie. The book and film tell the tale of Jeremiah G. Hamilton, a black man who escaped Haiti in 1828 and began building his fortune on Wall Street by selling to both white and black entrepreneurs. This move broke both American custom and law. Making matters even worst, Hamilton married a white woman, bought a mansion in New Jersey and bought railroad stocks – a mighty profitable venture during that time. “There was only one man who ever fought the Commodore to the end, and that was Jeremiah Hamilton,” Cornelius Vanderbilt, a rival to Jeremiah G. Hamilton, said in his obituary in the National Republican, read the day after Hamilton’s death. By the time Hamilton died in 1875, he was worth about $2 million (which would be about $42 million today based on inflation) and was described as the richest black man in America. 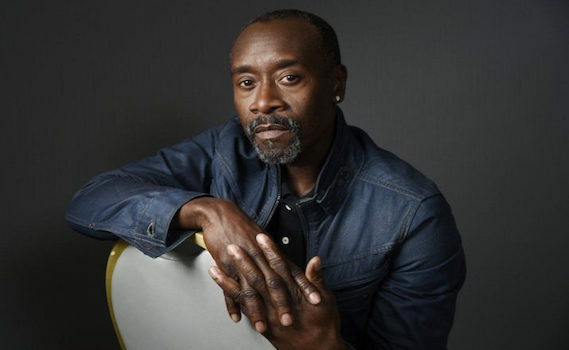 Don Cheadle will also produce, write and star in the movie, according to The Hollywood Reporter. Who is Jeremiah G. Hamilton? Hamilton was a Wall Street broker known as “the only black millionaire in New York about a decade before the American Civil War. Hamilton was a shrewd financial agent, amassing a fortune of $2 million ($43.6 million today) by the time of his death in 1875. Although he was the subject of much newspaper coverage and his life provides a unique perspective on race in 19th century America, Hamilton is virtually absent from modern historical literature. Hamilton first came to prominence in 1828 after hiding out in a fishing boat for multiple days in the Port-au-Prince harbor in Haiti and eventually escaping the Haitian authorities. They had discovered he was transporting counterfeit coins to Haiti reportedly for a group of New York merchants; in absentia he was sentenced to be shot. The ship he had chartered, the Ann Eliza Jane, was confiscated by the port officials; Hamilton claimed he had escaped with $5000 of the counterfeit coin. His business practices were controversial; where most black entrepreneurs sold their goods to other blacks, “Hamilton cut a swath through the lily-white New York business world of the mid-1830s, a domain where his depredations soon earned him the nickname of “The Prince of Darkness”. Others, with even less affection, simply called him Hamilton. Soon thereafter, he used about $7 million to buy up a substantial amount of land and property in modern-day Astoria and Poughkeepsie. Hamilton would go on to tuggle with Cornelius Vanderbilt, the famous American industrialist, over control of the Accessory Transit Company. Although he circulated among the financial elite and was himself very wealthy, Hamilton was also a victim of the racism against African-Americans so pervasive during his time. During the New York City draft riots in 1863, white men seeking to lynch Hamilton broke into his house, but were turned away with only liquor, cigars, and an old suit by his wife Eliza after she said her husband was not home. Eliza Hamilton was white. which made her marriage to Jeremiah taboo for the time. At the time of his death in May 1875, Jeremiah Hamilton was said by obituaries to be the richest black man in the United States. He is buried in his family lot in the Green-Wood Cemetery in Brooklyn. There is no known surviving image of Jeremiah Hamilton. As biographer Shane White has reasoned, Hamilton “almost certainly did have photographs taken, and quite likely commissioned a painting, but if any likenesses have survived they are probably catalogued under ‘miscellaneous’ or as ‘subject unknown’ Shane White, Prince of Darkness, The Untold Story of Jeremiah G. Hamilton, Wall Street’s First Black Millionaire, St Martins Press, 2015. The revenue he aquired was somewhere around the fourtune of about $250 million dollars in those years. Here is another interesting fact that he was bold enough to take on Cornelius Vanderbilt. “Black Wall Street businessman, Jeremiah G. Hamilton rode roughshod over his associates, treating legal requirments with all the disdain of Cornelius Vanderbilt. Shouldn’t KigaliUp Be On Your To-Do List This Weekend?